Samsung Galaxy S8 and S8+ have been recently updated by T-Mobile with support for RCS Universal Profile 1.0, which should allow users to send files up to 100MB in size via messaging. 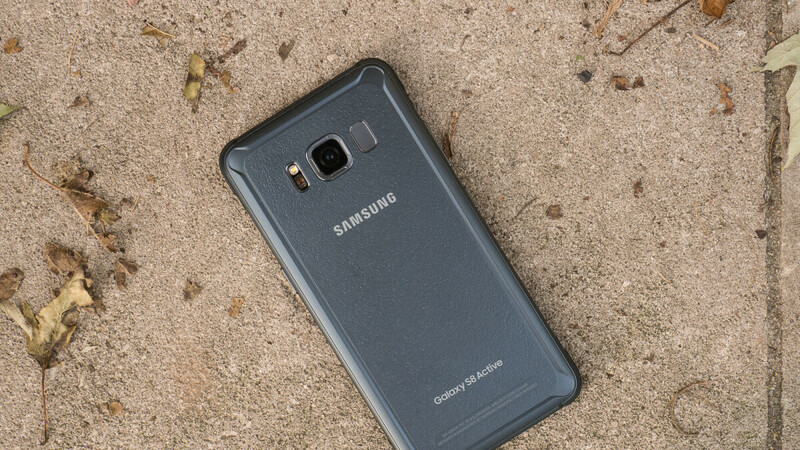 Today, another Samsung smartphone is getting the same treatment, the Galaxy S8 Active. If you own the T-Mobile Galaxy S8 Active, the latest update should further improve the native messaging app when you chat with contacts who also own phones that support RCS Universal Profile. With the Galaxy S8 Active, T-Mobile has already updated five Samsung smartphones with RCS Universal Profile, the other four being Samsung Galaxy S7, S7 edge, S8, and S8+. The update weighs in at 420MB and includes the October security patch along with RCS Universal Profile 1.0 support. The changelog also mentions some improvements to performance, as well as device stability enhancements and bug fixes. My S8 Active got the update on Oct. 28 already. so now that RCS is rolling out.... who will make it fun??? ?